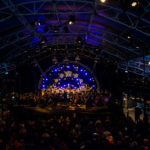 This is the third time in a year that a report about a concert by The North Netherlands Symphony Orchestra is published on this website. 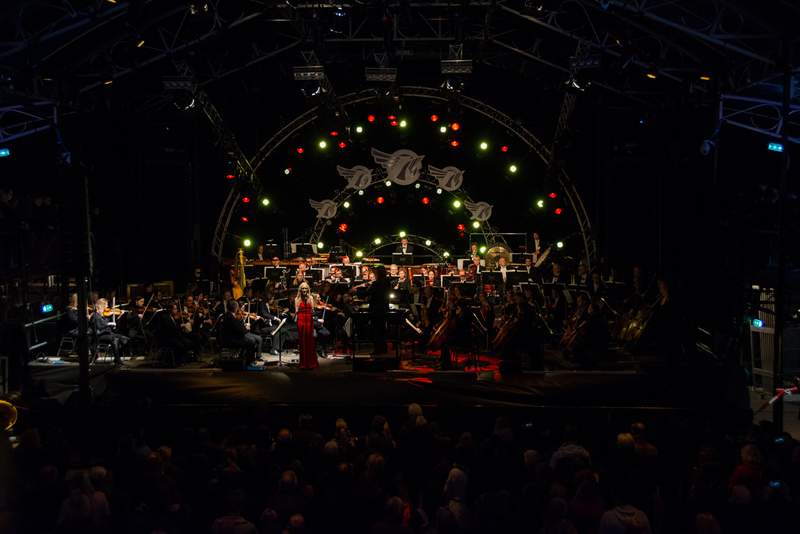 The orchestra has performed two concerts of film music: one was in the open air and the other in a concert hall. The most recent concert, described below, was something very special. 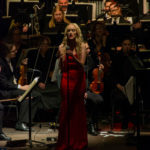 Announced as a short concert (about one hour) with music from recent video games, raised a number of questions about the ideas that lead to this extraordinary event. 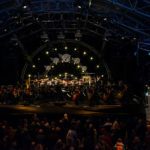 Fortunately, Merijn de Boer, the brains behind this concert, agreed to answer a few of these questions on the day of the concert. Therefore, prior to the report, this interview can be read, and at the end of this article you can read about their second concert at a local festival. Tonight is the concert, how is it going with the final steps? There are still some things to be done, game consoles, among other things, need to be installed in the foyers. People are able to play two games that can be heard during the concert. I also just received a package from 1998, it is the first game ever to write a soundtrack for a symphony orchestra. It is the only exception in the program in terms of age because the others are quite recent games where we play the music from. The game is Heart of Darkness, the game did not sell well, but the soundtrack is really beautiful and very cinematic. Bruce Broughton composed all the music, arranged it and conducted the orchestra. 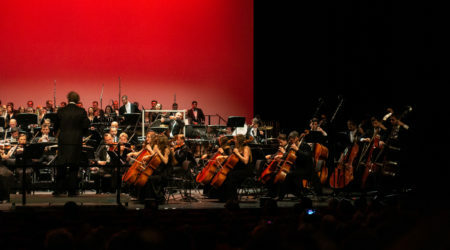 That was the first time that an official orchestra was used for a game. That is why we included it in the program. So for this concert, you are focussing on recent games such as Horizon Zero Dawn, why is that? We have focused on the blockbusters, not because they are that but because nowadays music is an inseparable part of these games. 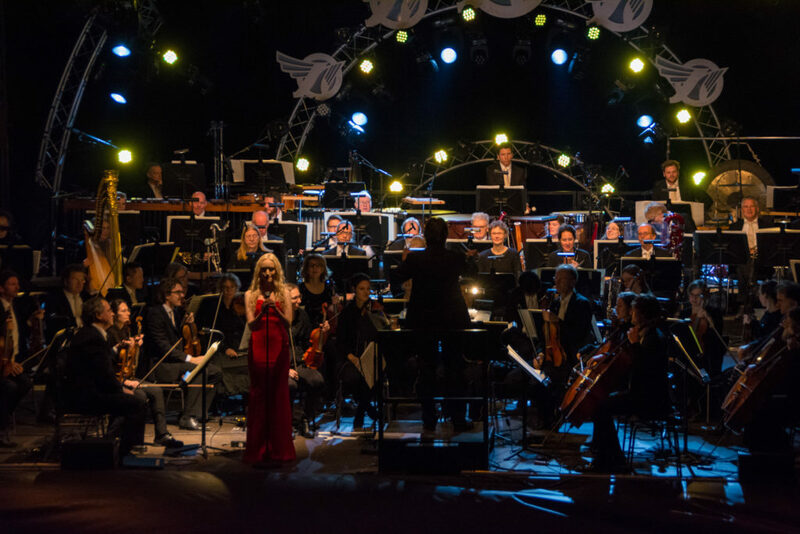 The music is actually recorded with an orchestra for most games in the program. We want to emphasize that, we want to show people, who do not know games so well, that this is a profound art form, in which images, interaction and sounds seamlessly work together to create the best possible interactive experience. Music is an important part of that and we want to highlight it with the most beautiful music from games of the last five or six years. The quality has increased so much in recent years that it has only recently become possible. It has never been done this way because many orchestra organizers look at what they like, such as Super Mario and Tetris. The problem is, you convert the bleeps and beeps to for example violin parts and you change something. We really want to emphasize what is already there. 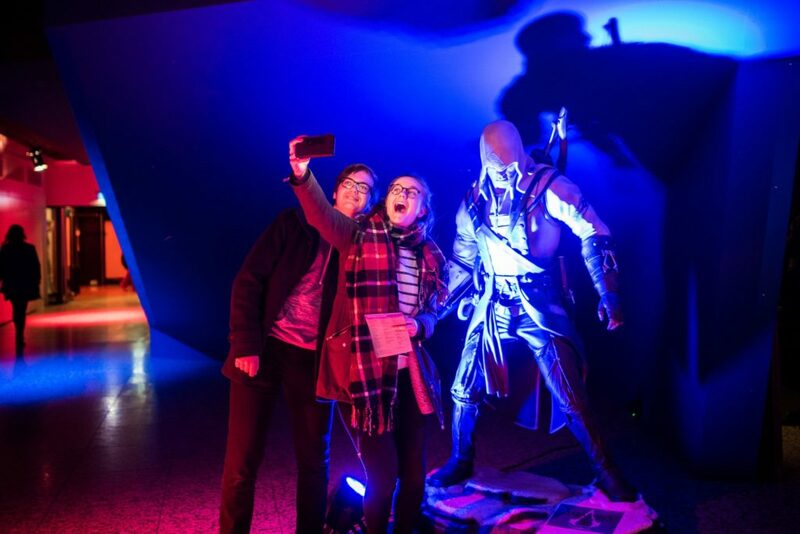 The game industry is very serious about this art form that results in BAFTA awards and this year even a “Gouden Kalf” for the first time for Horizon Zero Dawn. With that the art critics also say that they are no longer simplistic games but pure works of art. It is great that we can display that. How did the program come about, did you contact the composers and were they happy to cooperate? Not really, something happened before that. 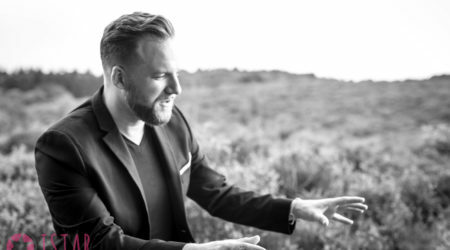 Our artistic leader Marcel Mandos had this idea for years to do something with game music. He was offered a pre-made program. He himself is not fully aware of what is going on in the game world. I was, I happened to make games, I have directed games for a while, I have worked in the internet industry for a long time and worked together with many companies. Then I got carte blanche and that went very well because all the developers and composers I approached thought it was a fantastic idea that I was going to do this. So I received more sheet music and was given the rights. That was quite a job and it took me a year. The problem with both this and the film industry is that when a film project is completed, a lot goes into the archive, but not all of it. Sometimes the film music just disappeared and for games, that is often the case as well. When a project has been completed, the question remains whether someone has fully annotated it and that is not always the case. We even had to make new arrangements. Game music is often spread over an entire game instead of being played at once. Like a player in a game, we had to string together many small musical phrases to create a decent piece. While playing, every player hearsall those little phrases in a different order depending on how he does things. The enthusiasm among the composers was really high: having their music played by 70 musicians was fantastic for them and was encouraging proof that their work is being recognized on the highest level. You have won Julie Elven as your main guest. How did you get into contact with her? I got the tip from Joris de Man, the composer of Horizon Zero Dawn. He also started to rearrange music for a bigger orchestra and he said that we should ask Julie. Julie happened to be at MOSMA, a film music festival in Malaga. I went there and talked to Julie and she was very enthusiastic. When I made the observation that “I Was Born for This” from the game Journey was her vocal range, a huge smile appeared on her face and so she totally agreed. In this piece, old English and classical Greek literature is sung, namely from Beowulf and Iliad by Homer. But there is also singing in Japanese and French and you do not hear that when you listen to the score. There is still a lot of art packed in the music that you do not expect. The time and duration are special for this concert: it starts at 9 o’clock and is shorter than usual. Why is that so? We have a lot of pieces that we play, and because they are short pieces, the variation is very different and if we focus on a young audience, then the format of a standard evening with an overture, a concert, and a symphony may be a bit too long. We do have a presenter, who is going to tell interesting facts about the games and the game industry, and ultimately it comes to a maximum of one and a half hours and that is our goal. It is just like movies: sometimes a movie is very good, but it did not have to be three hours long. We are taking a slightly more modern approach by making the concert more compact, but it does not change anything. We have all the complete pieces and they all fit very well in about an hour and 15 minutes. It is an evening where you can tell your children that you are staying until 10 PM and then back home, or people stay to play games in the foyer. This time simply invites people. We made the concert accessible to everyone. We also display no images, because we want to make people feel what a player would feel, but also what someone would feel who experiences a story, as has been done for centuries in classical music. You just have to sit and let sound waves flow to you and it is special when you succeed in that. The fact is, that this most modern form of entertainment contains centuries of music and that is very special. Even though the concert started later than usual, we arrived early to spend some time together having a drink. This was quite an interesting experience since we could watch the audience arriving. It consisted of a very mixed group of people. I saw parents with their children, groups of teenagers, young couples and guys who looked liked real gamers with geeky t-shirts. To me, they all had one thing in common: they were the kind of audience you would not normally expect at a concert of this orchestra. After an introduction by the speaker of the evening, game developer Rami Ismail, the concert started with the suite from Heart of Darkness. I have heard music from this game before, but it had not left a lasting impression. It was a delightful piece and as a biased tuba player myself, I really liked the tuba solo in it. I felt a little sad about this game’s bad sales since the music Bruce Broughton composed for it is beautiful. 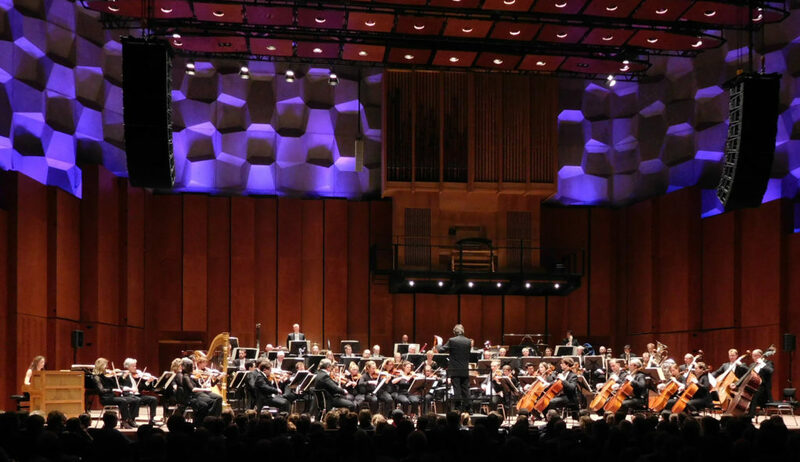 The first part from Symphony no.6 composed by Tchaikovsky was used in the game Destiny. NNO likes to add regular classical pieces to the program of their modern concerts. 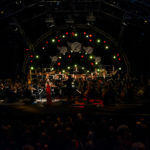 This strategy works relatively well for their film music concerts since the audience is older, but I am not so sure if this much younger audience appreciated their solid performance of this piece. I have not played Destiny, making it impossible for me to tell how well this music fits in the game and the concert. Because this was a concert without a choir, seeing Skyrim on the program made me a bit nervous since the men’s choir is pretty important in that piece. However, NNO was still able to make goosebumps appear during that piece and that, to me, is quite an achievement. The powerful French horn part made me almost forget about the choir. As a contrast, the next item on the program was ABZU, a game that is set underwater, with its delicate music composed by Austin Wintory. I love Wintory as a composer and the music he wrote for that game was performed with crafty finesse. “Finding the Pattern” from Everybody’s Gone to the Rapture is composer Jessica Curry’s best work in my humble opinion. Replacing the vocals by a trumpet seemed a bit of a missed opportunity to me, but the violin solo was just gorgeous. 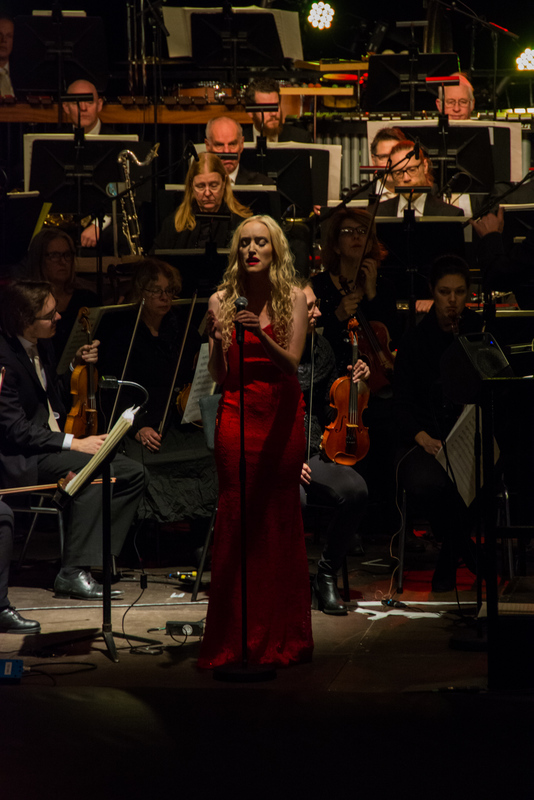 If you have read the interview with Merijn de Boer, you already know that the concert’s main guest was vocalist Julie Elven. She sang “I Was Born for This” from Journey and she did it beautifully. Austin Wintory, who composed this piece, also wrote music for Assassin’s Creed Syndicate and the orchestra played it just as joyfully as it is supposed to be played. 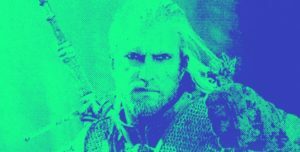 The music from The Witcher 3 is getting very familiar to me. I have heard it a lot in the last two years and the version the NNO performed was solid. 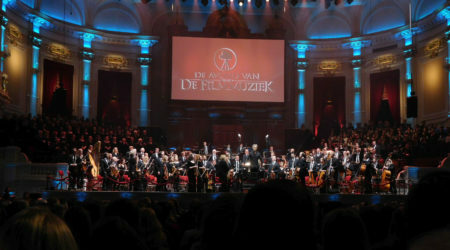 The last part of the concert contained music from Dutch composer Joris de Man. First on the list was the beautiful piece “And Ever We Fight On” from the game Killzone, which is a really gorgeous piece. Julie Elven came back on stage for the evening’s last two pieces from Horizon Zero Dawn. I was looking forward to this very much since Elven is the original vocalist on that score. “Victory” was just beautiful but still nothing compared to “Aloy’s Theme”. The performance of that piece allowed all kinds of emotions to surface and also tears started to flow. Hearing this piece performed live with all the extra orchestra parts by Joris de Man and Elven’s beautiful voice made me decide that this piece is my favorite track of 2017. After the standing ovation, conductor Etienne Siebens returned to the stage for one encore. Since it was not on the program, the audience had to recognize it for themselves and according to the cheers, most of them did, as it was from the game Fallout. A good end to a great night. NNO took a gamble with this concert. It was a bold idea and it definitely paid off. This was a concert that lured a lot of people in who probably would not go to a symphonic orchestra otherwise. Judging by their faces as they arrived, people were looking forward to this concert, and since they left with even bigger smiles, it certainly was a pleasant evening for everyone. I really hope NNO will consider giving this concert a follow-up. Games are all about sequels. A sequel has to build on the success of the previous game and add something new, so maybe the addition of a choir would be a great idea. I am already looking forward to the potential second installment of this concert. On January 20th, I had the privilege to attend this concert for the second time. 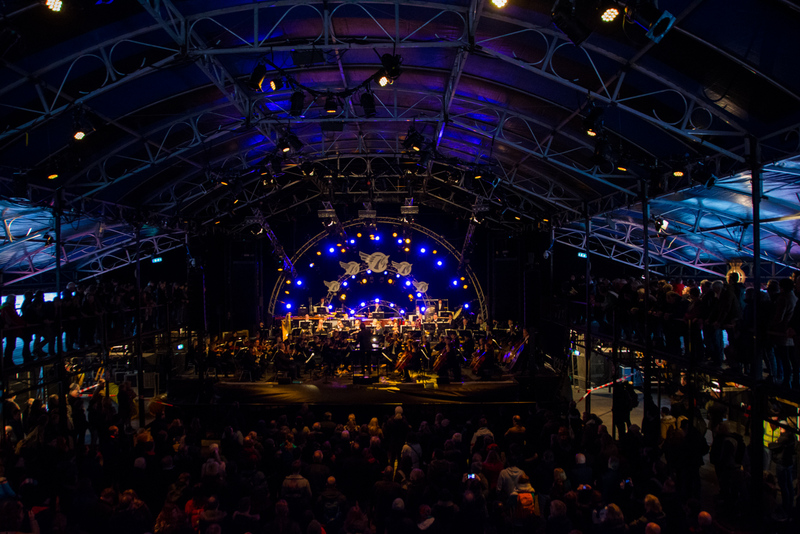 NNO performed the majority of their games program again during the EuroSonic festival. 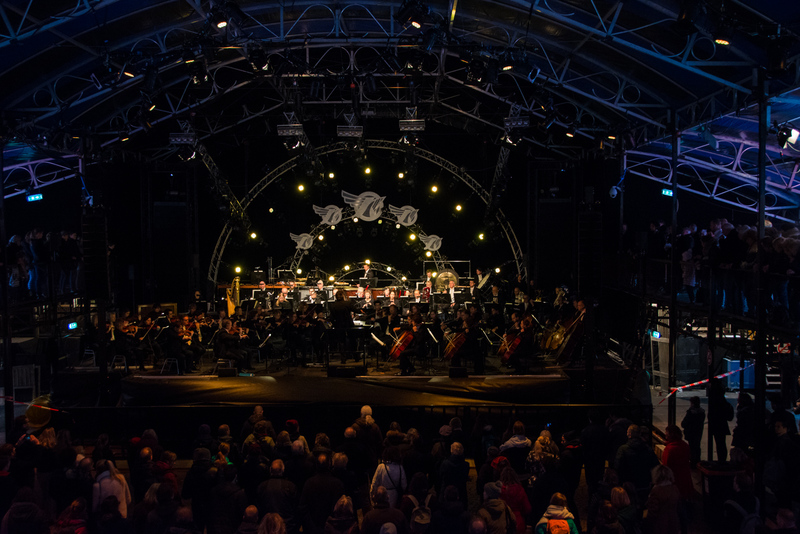 It was a fantastic performance in a big tent on the main square in Groningen and admission was free. Speaker Rami Ismail was present again as well, and rather than reading a speech, he was interviewed by the host of the festival, informing the audience about the games from which the music was played. The return of Julie Elven was also a pleasant surprise. To hear “Victory,” “Aloy’s Theme”, and “I Was Born for This” again was a dream come true for me personally. Being a concert in the city center without an entrance fee, made it possible for a whole new audience to get acquainted with game music. A month ago, when the concert in the venue had a lot of gamers in the audience, this concert had a very good mix of all kinds of people. I am very happy that NNO is doing these kinds of concerts and I hope they will continue to organize them in the future.